A grapefruit half, cereal, scrambled eggs and toast w/tomato, a very nice breakfast in the sun room. Mandy drives me back up to Clay Bank Top at 8:30. Weather is cloudy and breezy, but no rain. 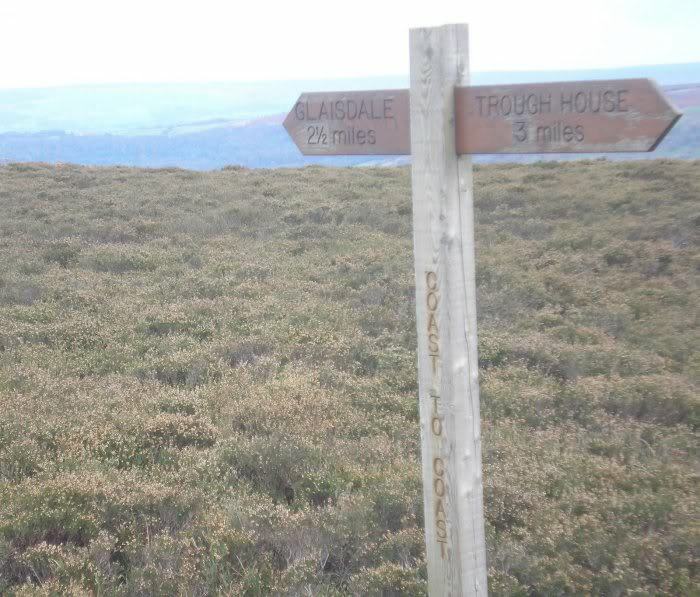 Its a long steep climb up onto the bleak but stunning Yorkshire moors, then a fairly level, slightly undulating walk across the moor. Stone stele are placed to show the way, relics of a past era that aren't needed today for the path is now wide and clear, even cyclist use it.. Up ahead, the disused Rosedale Ironstone Railway bed joins the C2C and the Cleveland Way turns north at Bloworth Crossing following the RR bed. I continue on the RR bed, crossing wide ravines with builtup earth, no bridges or viaducts, as it leads toward the Lion Inn. A fast walker catches up with me. He is doing the 44 mile Lyke Wake Way (24 hours) in practice for a July 4 four day C2C competition. Up ahead, he takes off left across the wild moor on no discernable path. I have no idea what he is doing! Does he? 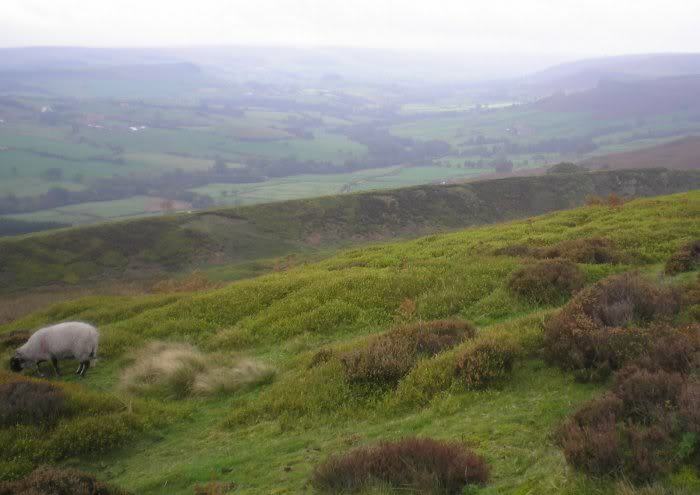 Further along is the apparent path for the Lyke Wake Walk. Perhaps the poor fellow lost patience. 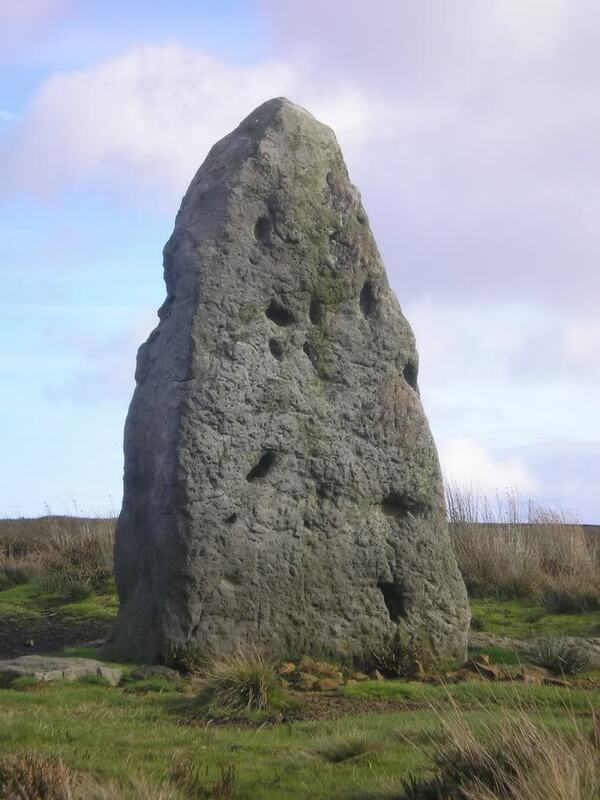 I pass the Lion Inn at 11:30, nine miles in three hours, then follow the tarmac road north for 2 miles along the upper west side of Rosedale and around Rosedale Head to an old stone monument called Fat Betty. No one seems to know its purpose. 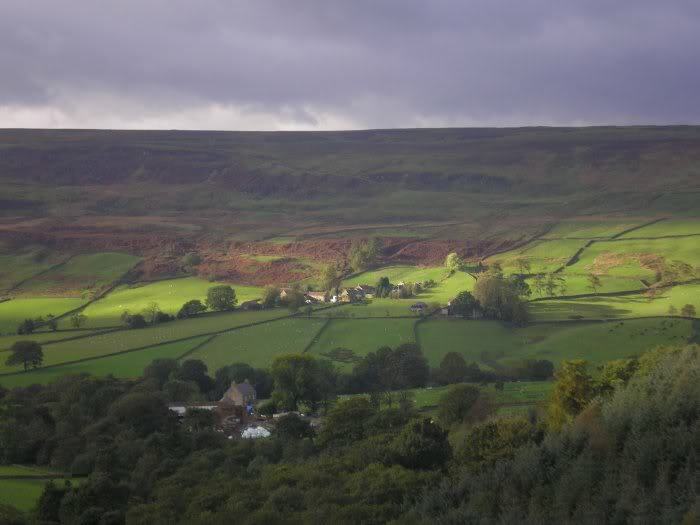 On my walk in 2006, I turned south at the Lion Inn to walk the Rosedale Loop, staying the night near the village of Rosedale at August Guest House. 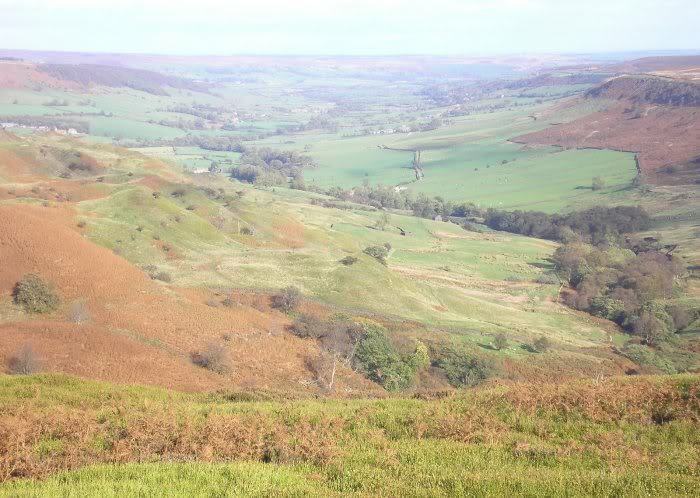 The Rosedale valley is a beautiful eliptically shaped depression with a walkable disused RR bed around the complete loop. 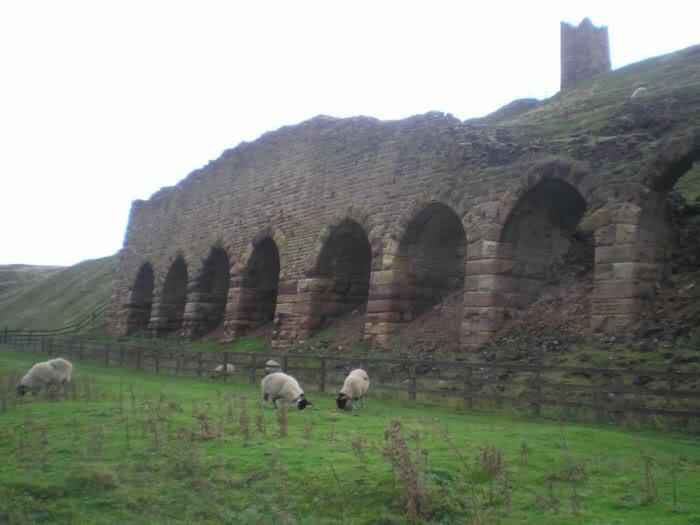 Ruined ironstone calcination kilns line the east side of Rosedale up above the valley floor. The railway carried ironstone ore from the kilns and then to north counties. Calcifying the ironstone reduces it weight and makes its transport more economical. 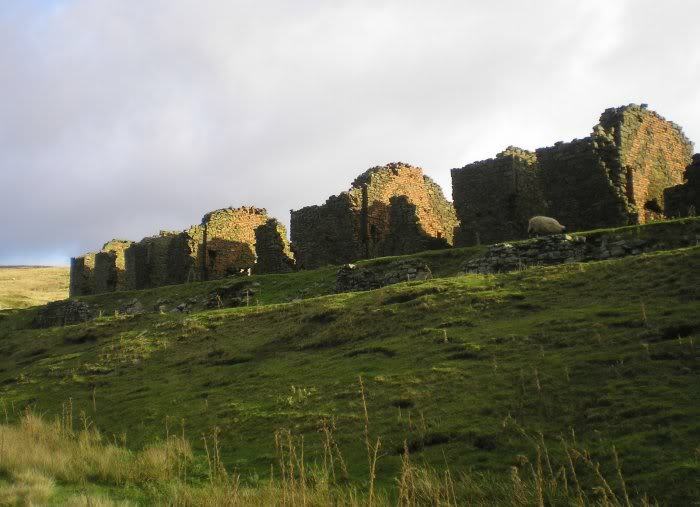 The operations ceased in 1926, leaving all to fall into magnificent ruins. 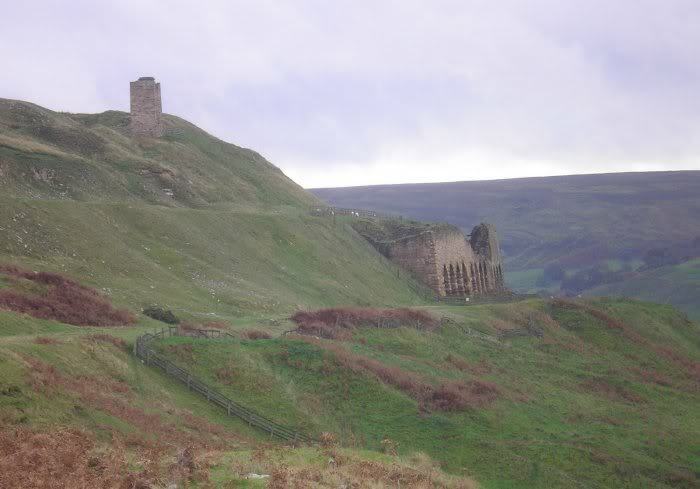 The next morning, I climbed up onto the eastern RR bed, passed the coal bin, calcifying kilns and worker housing, then north to near Rosedale Head. Here, my host at August House had shown me a path leading onto the moors through the heather and up to the road where I meet up with the C2C at Fat Betty. This morning walk was absolutely fantastic, looking down over the valley floor and across to the Lion Inn plus the challenges of a RR bed that had seen quite a few physical disruptions. I pass by Fat Betty and stop at Trough House, an 1801 stone hut overlooking Great Fryup Dale. Here I have lunch of an apple and a snickers bar. 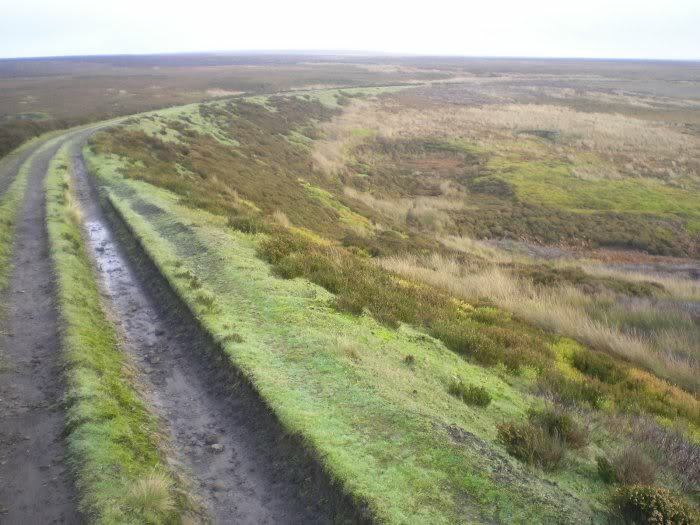 After walking around the head of Great Fryup, wonderful views, there is a bit of road walking on the ridge between valleys. 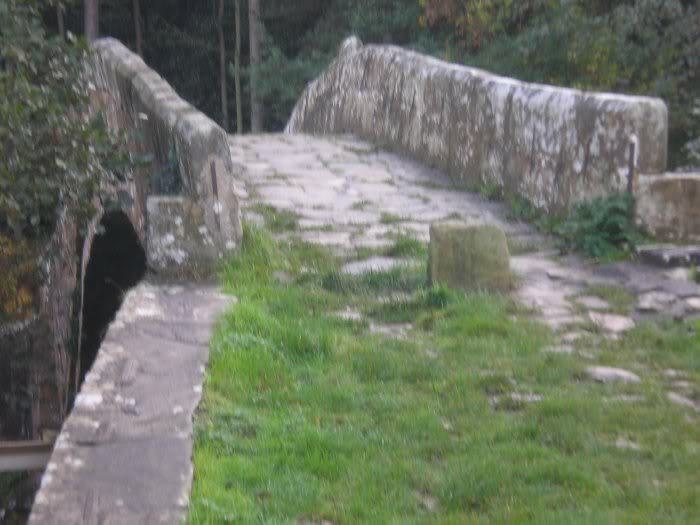 I meet a fellow going to Glaisdale who is determined not to walk on tarmac so he is following some very peculiar paths which send him in circles. I leave him poring over his map. 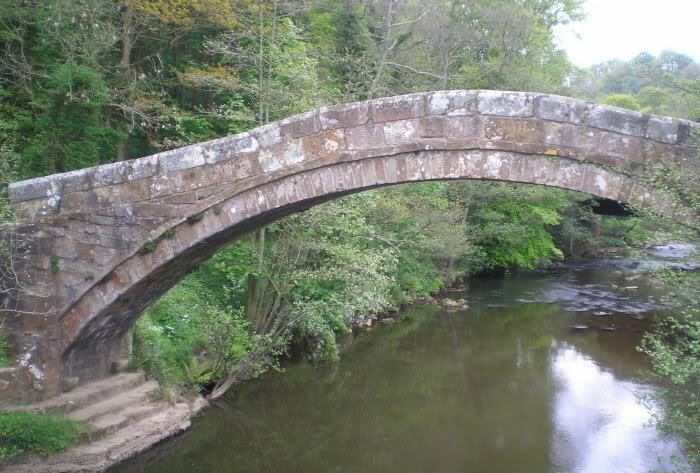 A dirt track takes me across Glaisdale Rigg into Glaisdale to Beggars Bridge B&B at the far lower end across from the train station. It takes me 30 minutes to walk from the top of the village to the bottom, arriving at 3:30. Today was an easy 19 mile walk. Not too surprisingly, the b&b is across from the famous 17th C. Beggars Bridge, but also used to be the train station house. A nice welcome by Jeanne who serves me coffee, toasted tea cakes and cookies in the conservatory (sun room). I have a nice, large ensuite room with a soft double bed, a superb place to rest. Jeanne will wash some clothes for my flight home. 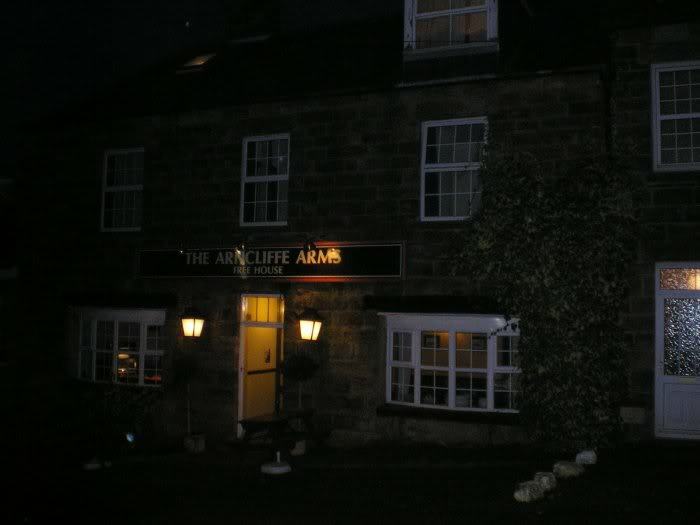 At 7 pm, I walk across the road in the rain to Arncliffe Arms for dinner and hope to meet Bill and Katie there. I order an organic ale from North Yorkshire Brewery, very tasty. This makes up for being out of Black Sheep last time I was here. 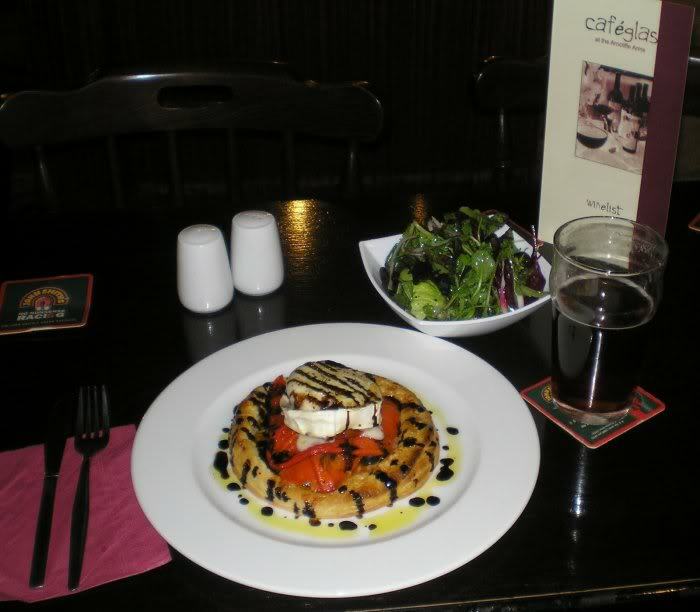 For dinner, I have a warm goat cheese tart with red peppers, olives and tomato. Excellent! Great salad too. As I'm served, Bill and Katie come in looking like drowned rats. 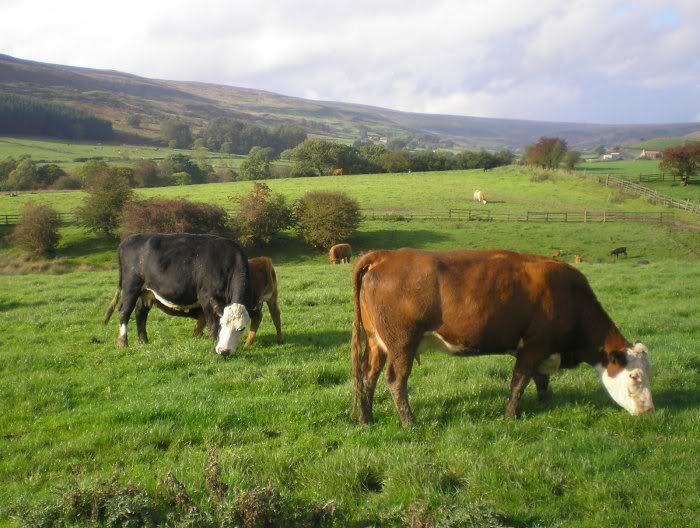 Its raining hard and they had to walk from the top of the village, actually Red House Farm where I stayed in 2006. 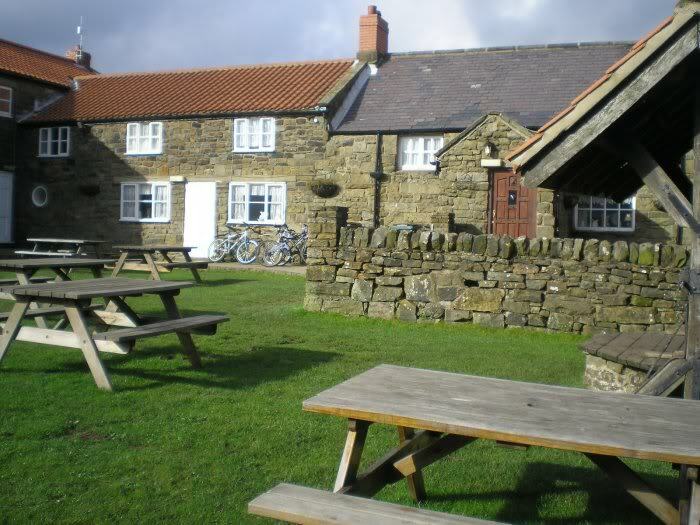 I loved the place, but hated having to walk all the way to Arncliffe Arms for dinner and back in the dark, then back down in the morning. B & K felt the same way. My b&b is much better placed as I had anticipated.